Courtesy of Keller Williams Fort Mill. Beautiful Bonterra home on a quiet Cul-de-sac street. This home offers 3 bedrooms on the Main Floor, including the Master, and an additional 2 bedrooms on the second level. Gorgeous finishes throughout with tons of molding. High Ceilings. Open Concept living at it’s best with the Family Room, Kitchen, and Breakfast area all flowing together. Beautiful Cabinetry and Stainless Steel Appliances in the kitchen. Spacious Master Bedroom with Spa-like Master Bath and large walk-in closet. Additional bedroom layout offers plenty of space in this lovely home! The Walnut Creek neighborhood features state of the art recreational facilities and other amenities! Please, send me more information on this property: MLS# 3472489 – $379,900 – 5023 Wesley Court, Lancaster, SC 29720. 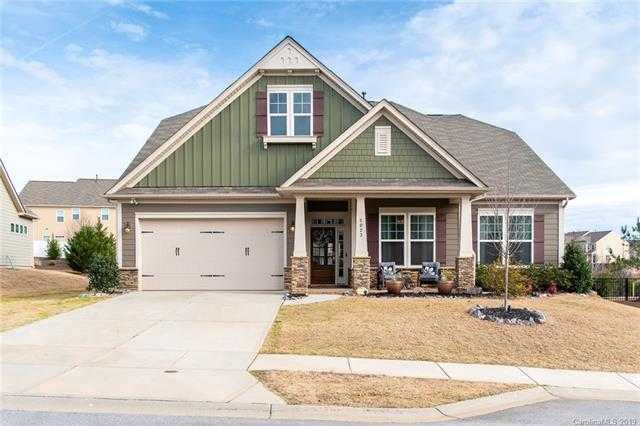 I would like to schedule a private showing for this property: MLS# 3472489 – $379,900 – 5023 Wesley Court, Lancaster, SC 29720.